Development Synergy: 2015 Laureate Global Fellowships for Social Entrepreneurs - Apply Now! 2015 Laureate Global Fellowships for Social Entrepreneurs - Apply Now! 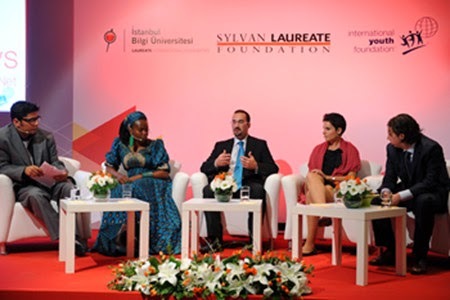 2015 Laureate Global Fellowships: Annually, the Youth Action Net selects 20 young social entrepreneurs to participate in the Laureate Global Fellowship through a partnership with Sylvan/Laureate Foundation and the International Youth Foundation. achieving positive change in their communities, by their innovative approaches, and their ability to mobilize their peers and community members in support of their social change visions. Fellows develop leadership expertise and deepen their impact through a dynamic, yearlong learning experience, and join a network of over 1,000 change-makers like them who continue to benefit from learning opportunities and connections throughout their social change careers. The leadership training and public event will take place October 2-8, 2015 in Washington, DC. Access to ongoing learning and networking opportunities as a YouthActionNet alumni. Retreat costs including US visa fees, airfare, ground transportation,accommodation, and group meals will be paid by the International Youth Foundation. The deadline for application is 25 March 2015. All applicants will be notified of their status by June 12, 2015.